← WHITE HOUSE appeal of bitemark aided execution was ignored in 2011. The author has excellent academic credentials and states unregulated proliferation of court accepted ‘digitalizing’ experts has its obvious risks. As in wrongful incarcerations and convictions. The realm of forensics (any technology or expert opinion used in the courts) “digital” evidence ranges from photography to computer and video analysis. Educators and the practitioners on these subjects have little guidance from the AAFS digital section (here promoting itself to students) and various DOJ study groups (this one is defunct and here are their published documents) which have been around since the last decade. Full article. Here’s an example of a totally overly enhanced (“changed”) autopsy photo accepted into a TX federal court habeas corpus case as merely “improving” the injury patterns seen in an original image (according to the DA and the judge). 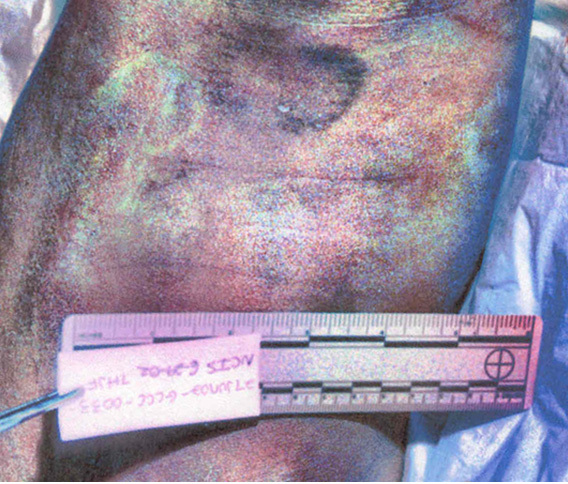 Obvious arbitrary color changes were made and other distortions are seen in the ruler and artifacts added to the skin to produce “hidden evidence.” The digital image was made by the creator of his personally owned “imaging” program. In this same case, a Prosecutor’s dentist then chose the perpetrator from one of these three suspects whose teeth are outlined in different colors. This image was created by me. I found found it impossible to use any of this evidence to reach a reliable opinion. 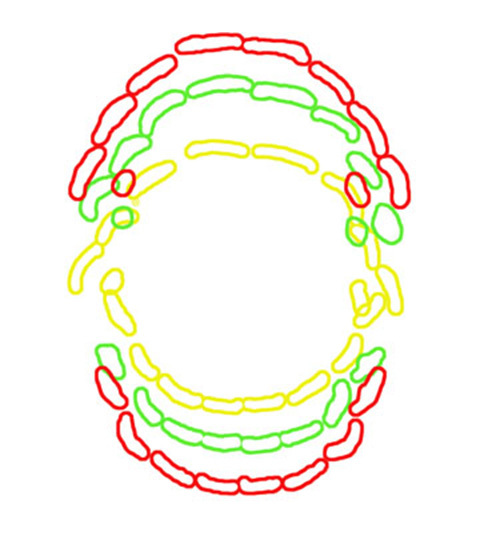 This entry was posted in Bite Marks, Bitemarks, CSI, junk forensic science and tagged digital forensics, Forensic science. Bookmark the permalink.